Is it possible to prevent birth trauma? We are delighted to publish this great blog by Tricia Murray. Tricia is a Therapist, Coach and Doula supporting mums through pregnancy, birth and early parenting. 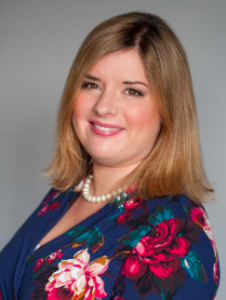 She is Founder of the Birth and Baby Academy, Edinburgh Birth and Baby and Juno Perinatal Mental Health Support. Tricia lives in Edinburgh, UK, with her husband and 4 sons. Five years ago, I started to work as a doula supporting new mums. As I’d had twins and was heavily involved in our local twins club, I’d presumed what I’d be doing was supporting mainly twin mums and possibly a few home births and some women here and there that had experienced mental illness like me. I wanted to provide the support that I felt I had needed at this time. What I didn’t realise was the vast number of women who had experienced birth trauma and mental ill health. I had thought this whole time I was a rarity and that I was unique, not part of a large percentage of women. Again and again it was the same stories – “I didn’t feel listened to”, “I didn’t feel I had any choice”, “I didn’t realise the consequences of that intervention”, “I didn’t feel my partner understood or advocated for me”, “I felt I was informed yet on the day I still ended up strapped to a bed”…and more…. There are various strands to birth trauma and I’ve spent the last five years unpicking it with the women I’ve worked with. One of the big strands is around autonomy around decision making, making informed choices, understanding risk and consequences. My feeling is that so much of this comes down to gaps in antenatal education. Most birth education is focussed on the hospital procedures and processes such as “you phone triage when XYZ happen”, “you go into the hospital when your waters break”, “when you’re 10cm you start pushing”, “you can have an epidural when…” etc. There’s also birth education which is focussed on very physiological births and this can leave women like failures if they don’t achieve it. Yet it can be hard to achieve physiological birth when you aren’t familiar with the system that you’re birthing in. There is very little around that really focusses on making decisions for yourself and the emotional journey of birth including what are the emotional and physiological needs are of women through birth. Women need to be held physically, emotionally and spiritually through this time. 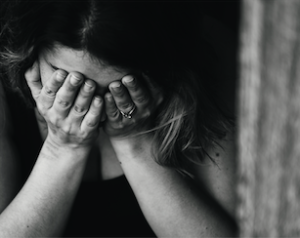 I truly feel this is the heart of MANY women affected by birth trauma and birth grief – is women not feeling in control of the decisions around their births, following care pathways they don’t fully understand, not knowing how to question their care including questioning what’s going to happen and then feeling consequently very frightened and out of control. (2) women feeling out with their scope of knowledge which can feel terrifying and life threating. Preparing women for birth needs to be more than learning to breathe and understanding how epidurals work or when to phone the hospital. Women need to understand what their needs are and then have the confidence and knowledge to know how to give birth within our maternity system and structures. They also need to really understand that it’s them that has the right to make the decisions they want, even if they are out with the care pathways that have evolved over time. 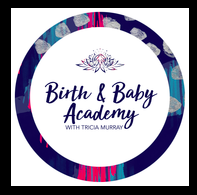 This is one of the main reasons I set up the Birth and Baby Academy is to start educating women not only on birth but to prevent birth trauma by encouraging autonomy AND responsibility for birth. Whilst it would be irresponsible to say that all birth trauma can be prevented, I know many women reading this will be able to relate to this. I feel strongly that with 1 in 3 women reporting their births as being traumatic, the status quo is utterly unacceptable and we must realise that somewhere women are being failed and education is a key component of this.